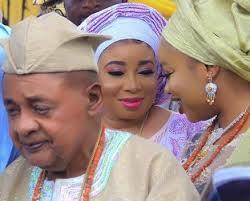 Actress Lizzy Anjorin has said that she is not the latest wife of the Alaafin of Oyo. The speculations started after the actress renamed herself, adding the name of the reverred monarch to her names. According to Lizzy, she is not his queen but his adopted daughter. “Alaafin of Oyo cannot marry a lady who is not a virgin” she said adding that the king is not a common king but a powerful monarch. Since the actress is not a virgin, this simply means that the relationship between Lizzy and the Alaafin is that of a father and a child.